For nearly 30 years, the United Nations World Health Organization has been referring to poor-quality and fake medicines as counterfeit. But that is about to change. The new words approved by the WHO Executive Board on 27 January are “substandard and falsified,” which captures whether the drug is made with substandard ingredients or is represented as something it is not. The word ‘counterfeit’ would now be restored in practical terms to meaning a trademark violation, as it is defined under trade rules on intellectual property at the neighbouring World Trade Organization. While the word may fall out of use at WHO, the problem of fake and poor quality drugs continues to rage around the world, and efforts continue to address the problem. In 1992, a workshop on counterfeit drugs was convened by the WHO and the International Federation of Pharmaceutical Manufacturers and Associations (IFPMA). Several more resolutions, reports and high points followed in the ensuing years leading to the creation of the International Medical Products Anti-Counterfeiting Taskforce (IMPACT). 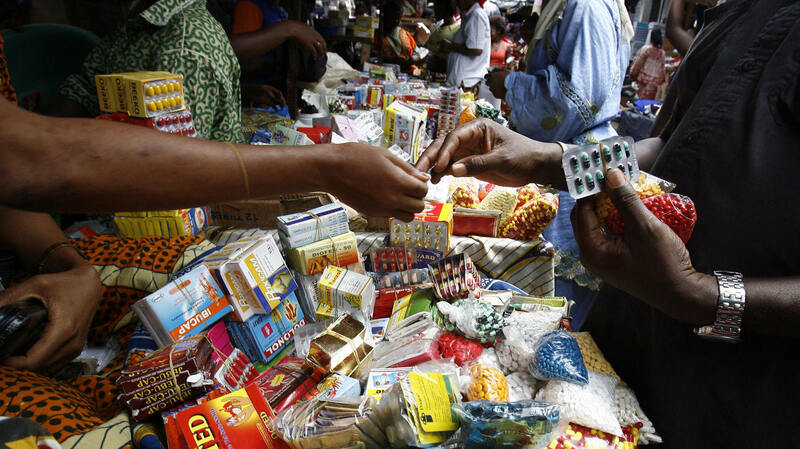 Soon after, some developing country WHO members and health activists became concerned that the word was being used to confuse public opinion of legal, good quality generic drugs. IMPACT was removed from WHO, and governments fought over terms (including ‘falsified’) until they settled on a contortion that in a way perfectly reflected the level of disagreement among them: “substandard/spurious/falsely-labelled/falsified/counterfeit medical products,” or SSFFC (IPW, Public Health, 3 March 2011). Diplomats throw around acronyms with the ease of ordering a coffee, but even veterans like WHO Director General Margaret Chan regularly stumbled on this tongue-twister. The 2012 World Health Assembly, the Member State mechanism on SSFFC medical products was created. And on 23-25 November, at the fifth meeting of the mechanism, it was agreed [pdf] to change the name to ‘substandard and falsified’. On 27 January, the Board approved the draft decision (EB140/23 Add.1), which recommends to the annual World Health Assembly to agree to a set of definitions and to substitute SSFFC with substandard and falsified. During the agenda item in the Board meeting, many members took the floor to stress the continued urgency of addressing the real problem worldwide. The United States mentioned the importance of data, the United Kingdom said it would continue to help financially on this, and China, generally considered the biggest source of such medicines, said it is key to focus on regulation of the supply chain. The history of WHO’s role in the issue is chronicled on its website here. Among other things, it describes the emphasis on surveillance and monitoring of the problem, and rapid alerts. Some sources privately raised concern that while this could help reduce confusion, it means WHO may not have a role in actual counterfeiting of medical products. Others pointed to the recent, highly promoted trilateral initiative between WHO, WTO and the World Intellectual Property Organization, in which they can collaboratively address issues such as this, each with a particular responsibility. IFPMA, which led the way on the use of ‘countefeits’, made a statement at the Board meeting accepting the change to the term ‘falsified’. In its statement, it did not mention the word ‘counterfeit’ or trademark violations, but stressed the importance of fighting the ongoing problem for both brand and generic medicines. And it sought to clarify the distinction between patenting and falsified medicines. “This agreement is in line with IFPMA’s position: as stated in our Ten Principles, patents have nothing to do with falsified medicines. Efforts to tackle falsified versions of genuine approved medicines must not be confused with patent infringement disputes. IFPMA highlighted its “Fight the Fakes” campaign, and said WHO should continue to lead the global coordination on these issues. Meanwhile, some see industry as having hurt itself with overreaching. It is now up to the World Health Assembly in May, the annual gathering of all WHO members, to approve the draft decision. Based on the comments at this week’s Board meeting, the chances are that it will be farewell ‘SSFFC’ – but also farewell to the use of ‘counterfeit’ at WHO. "WHO Board Agrees To Drop The Word ‘Counterfeit’ After 30 Years" by Intellectual Property Watch is licensed under a Creative Commons Attribution-NonCommercial-ShareAlike 4.0 International License.